New Year’s Eve is the last hurrah of the holiday season. That means, the dinner you have on Dec. 31 is the last opulent meal you have for a while and location is everything. Betony, named after a minty herb and overseen by two Eleven Madison Park veterans, offers two prix fixe seatings in its cavernous midtown location. It’s later one includes a champagne toast at midnight and considerably more curses. (It’s priced accordingly.) The New American restaurant earned a Michelin star in 2014 is surprisingly informal for a place where the food is handled with such precision. Did we mention the food? It’s really, really good. 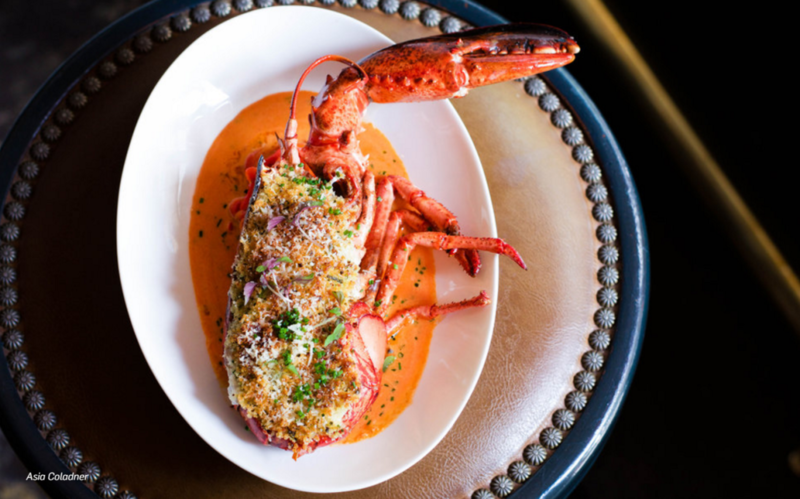 On New Year’s Eve, the intimate West Village spot Wallflower offers a five-course tasting menu featuring returning favorites like Chef Derrick Paez’s rabbit cannelloni with spinach and a foie gras emulsion and Lobster Thermidor with white truffle butter and brussel sprouts. Bonus: Wallflower will also be open for brunch on New Year’s Day. 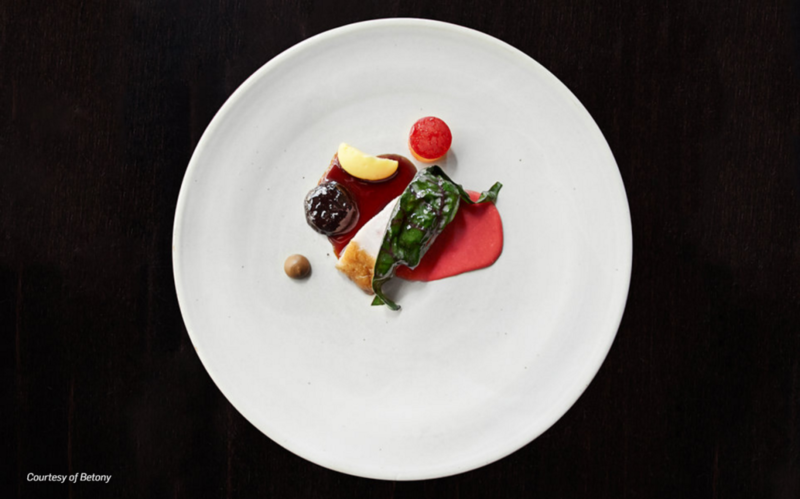 The Eddy, in New York’s East Village, offers a five-course tasting menu designed by chef and owner Brendan McHale. 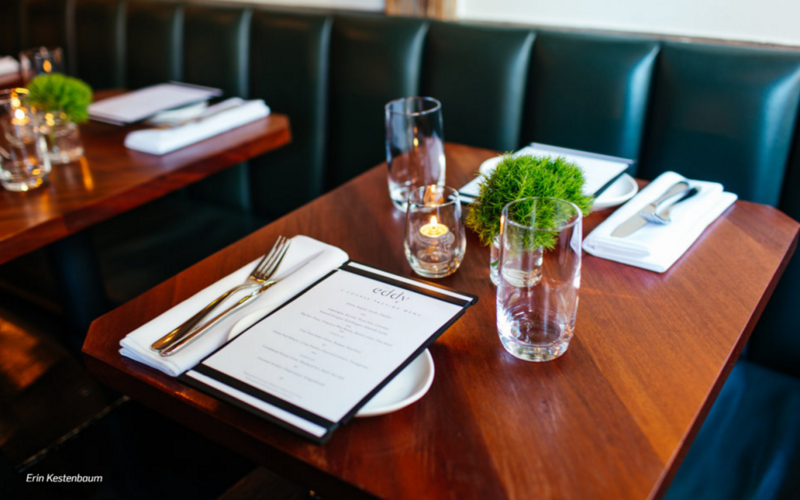 Expect to see Taylor Bay scallops with brown butter parsnip and celery, ravioli with lemon ricotta and herbs, and smoked sablefish with duck egg sabayon. The cocktail selection is noteworthy as well, particularly the Felix Felicis (manzanilla, lemon oil, green chartreuse, and sparkling wine). The bar will stay open late, so you’ll have the chance to sample other aperitifs, too. 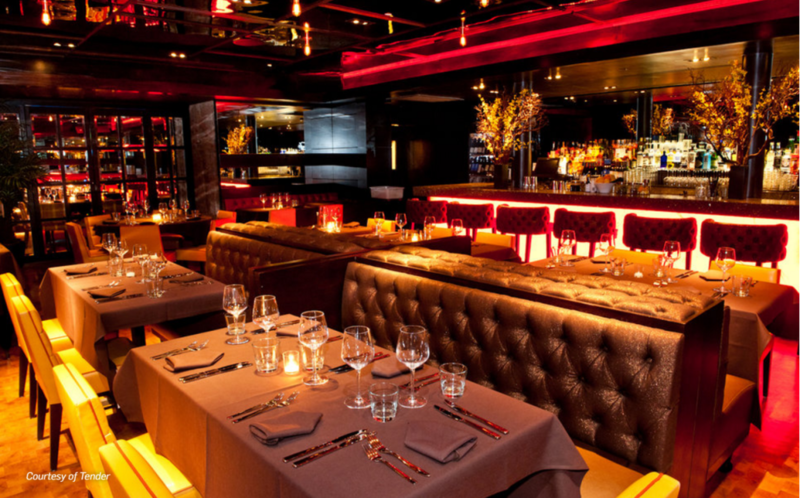 The Sanctuary Hotel’s restaurant, Tender, is bringing contemporary glam to the heart of Times Square. For those who desire to live lavishly on the biggest party night of the year, Tender is serving up beef carpaccio; jumbo shrimp risotto with shitake, enoki, and maitake mushrooms; and filet mignon with chimichurri and truffle butter. 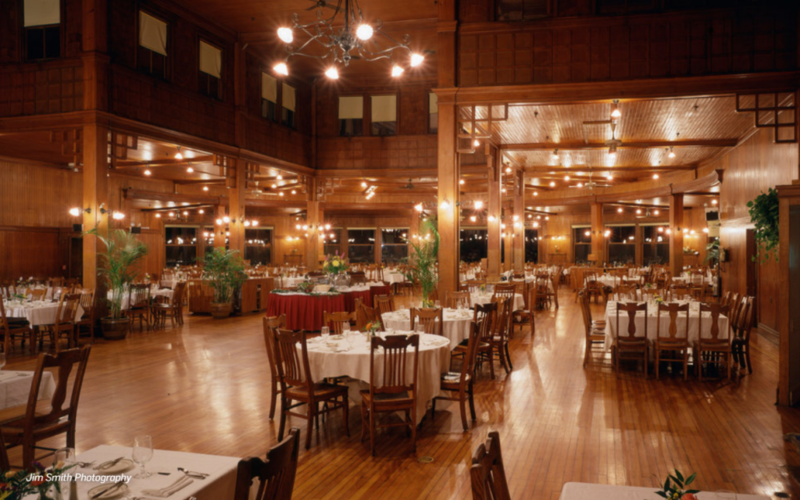 For those who want to get away from the New Year’s Eve hype, consider a trip to the Mohonk Mountain Resort near the Catskills. Spending New Year’s here, in the stillness of these castle-like grounds, means you can begin the new year rejuvenated rather than wrung out. The food’s pretty great, too; think braised waygu beef cheek with cauliflower puree and veal ossobuco with saffron risotto and rosemary gremolata. Courtesy of Travel + Leisure. More and more restaurants and bars are putting a focus on grower-producer champagnes (bottlings from the folks who grow the grapes themselves) and small-batch offerings, which translates to more choices, more accessibility, and better prices than ever before. Sommelier Gordana Kostovski has designed a bible of a wine list at Volver—it has 1,500 bottles of old and new world wines, so you’d be forgiven for getting distracted on your quest for bubbles. But her champagne selection is where things get personal. Here, Kostovski has carefully selected her very favorite vintages, meant to pair with the restaurant’s modernist Spanish fare. A restaurant dedicated to pizza and champagne? Brilliant. Marta has everything we love, largely thanks to wine director Jack Mason’s genius idea to make champagne accessible, affordable, and delicious. His goal: to convince you to drink bubbles with your thin-crusted, wood-fired pizza pies as readily as you would a bottle of Italian red. Pearl & Ash‘s wine list features five tightly packed pages of champagne goodness, with grower-producers galore and a wide range of price points. This, and their seriously stylish digs, would be enough to earn them a spot on our list, but it gets better. Wine director and champagne lover Patrick Cappiello has been known to saber bottles of champagne during service… while perched on the bar. Here is a list of our favorite celebrations at venues within driving distance that are worth the entry fee. One of New York City’s most sought-after venues, Beauty & Essex, is the sort of spot that attracts the upper echelon of the social scene—a place Rihanna might breeze through. On New Year’s Eve, guests enjoy a special dinner (think: hazelnut-crusted Chilean sea bass and 45-day dry-aged côte de boeuf), a bottle of Krug Champagne, and, afterward, a themed ball. This fine dining restaurant in Harlem pulls out all the stops for New Year’s Eve. The Cecil’s excellent cocktail menu is ramped up, and hors d’oeuvres arranged by Chef JJ are served while a live band performs in the jazz club, Minton’s Playhouse. If what you really want is to work up a sweat, DJs spin beats all night long in the main room. The Biosphere Party is held in a 10,000-square-foot tropical indoor pool complex complete with an underground aquarium and a 140-foot-waterslide. On New Year’s Eve, the venue is transformed with live DJs and an ice bar. We have a number of car options in a range of sizes, so you can fit your friends – in a car and ring in the New Year together.